On some occasions, I'll go on a ministry adventure by myself. It's not often. But God always shows up to touch people's lives and that's why we are disciplemaking missionaries with Cadre Missionaries. However, when these two girls are with me on a ministry adventure, the fun, impact, and relationships are exponential. They have a way of connecting with people and then connecting those people to God. Such was the case when I spoke to over 800 junior high/middle school students and youth leaders from the Reformed Church of America at Kansas State University, Kansas City, KS. This is the fourth time I've been the keynote speaker at Power Connection! I loved each time but this time was special. Here's just one thing I love about being around the next generation: Ice cream for breakfast. This picture was taken at 8 AM. No parents or youth leaders in sight. Nice. As you can see, I'm sticking with coffee. I might reconsider if they offered coffee ice cream. Here's another thing I love about Power Connection: Students do business with God! Many students came to Christ in our main sessions and in the small groups after the sessions. Many more opened their hearts to their youth leaders (many of whom are parents) about getting serious about following Jesus together. 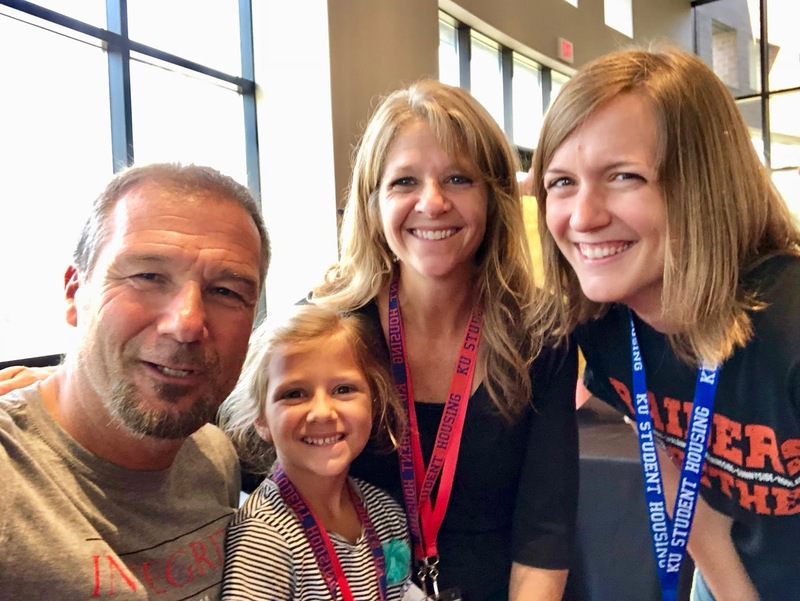 In the words of one youth leader: "Power Connection 2018 was life-changing. 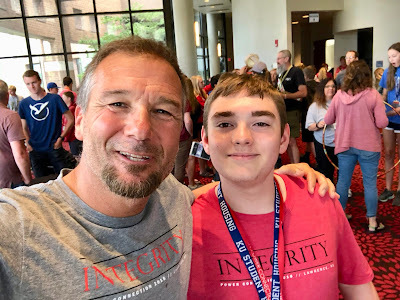 Awesome to see students connecting with youth leaders and other students about following Jesus together." I love making disciplemakers with the next generations and those who love the next generations. One youth leader wrote to us: "I loved watching the kids we brought with us learn more about God and really want to keep learning more. One of the kids we brought along happens to be our niece and we had the privilege to witness her accept Jesus Christ as her Lord and Savior and that had to be the best moment of the whole trip." 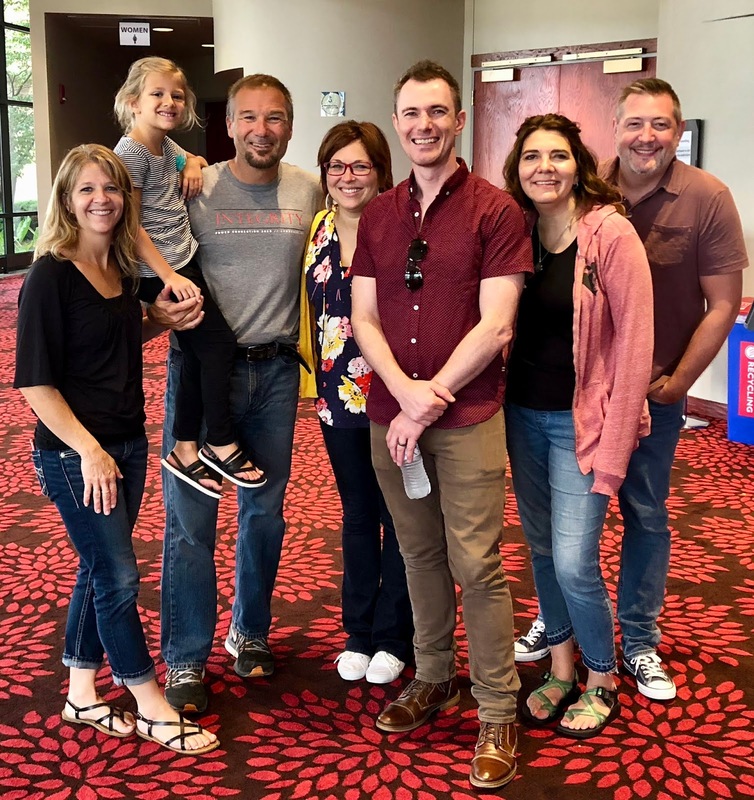 We love disciplemaking friendships—starting with our families! One youth leader wrote: "Sitting through your three keynote sessions and then in small groups after each session, I saw the girls and myself grow closer to Jesus and each other. We all loved every minute of Power Connection. I challenged the girls to take your challenge to read the book of Proverbs for 31 days as well as read another verse that I send them daily. We had such open and honest conversations in youth group time, so we set up a group chat through text where we are going to talk about the verse I sent them and each chapter of Proverbs. My daughter was the first one to read it this morning. Please pray that the girls and I will continue to grow in their relationship with Christ and each other." The young woman on the right is married to a youth pastor. She told us, “You were the speaker when I was in junior high and God really began to get a hold of me then.” Of course, this filled my heart with joy—to see her now investing her life in disciplemaking with the next generation. Exactly! That's how we roll as Cadre Missionaries. We aspire to make disciplemakers like Jesus did. We've been doing ministry with the next generations for a long time with Cadre and I can honestly say that One Time Blind (pictured above) is worth contacting if you like drama that is engaging, funny and speaks the truth in a powerful way without being corny. Every time I have had the honor of working with them, there art speaks directly and powerfully to my soul. "My love for Christ grew so much! I gave my whole heart to the Lord and was surrounded by many others doing the same." —from a student. To God, and God alone, be all the glory! We're just thrilled to be along for the ride.